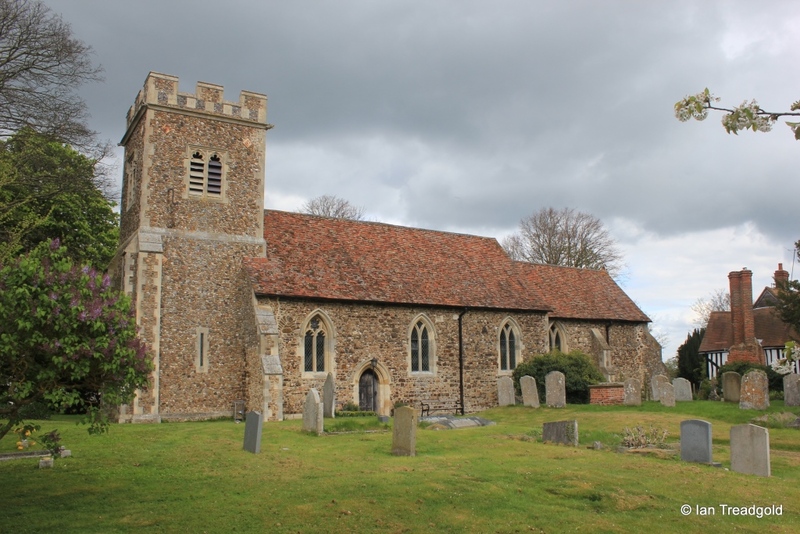 The church of St Margaret in Higham Gobion is situated in the centre of the hamlet that is Higham Gobion. The small collection of houses and farms is on the north side of the Barton to Shillington road. Parking is by the roadside outside the church. 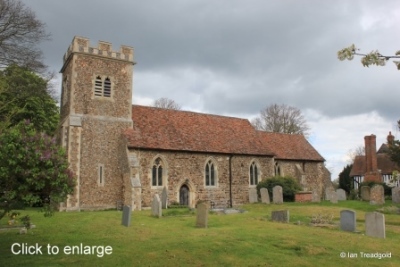 The church is simple in layout having a nave and chancel with a nominal north aisle about 2 feet wide. 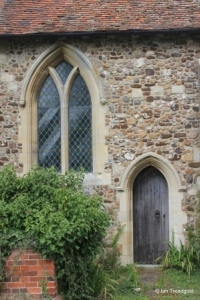 There is a west tower and south doorway without a porch. The nave and chancel are some 80 feet long with the chancel being 16 feet wide and the nave 25 feet. The tower is around 14 feet wide and about 40 feet high. 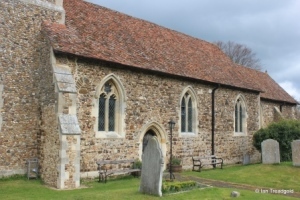 The church is built of ironstone and cobbles with a tiled roof. Whilst there are records of a church on the site from the middle of C12, most of what is visible is from a Victorian rebuilding in the latter part of C19. There was certainly a north aisle in earlier times but this had been removed by 1815 with the north arcade blocked to form the outer wall. The original tower was a squat affair not much higher than the nave topped with a wooden belfry. The restorations of 1880 opened the north arcade and built a new north wall only some couple of feet beyond the arcade forming more of a passageway than an aisle. 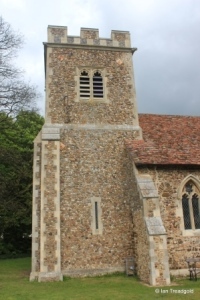 The belfry tower was also rebuilt at this time to give the current tower. 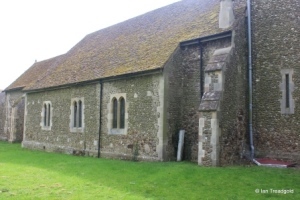 The south side of the nave has three windows, two to the east and one to the west of the doorway. 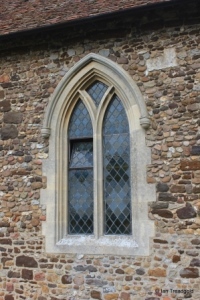 The two eastern windows are two-light uncusped windows with Y-tracery under pointed arches. 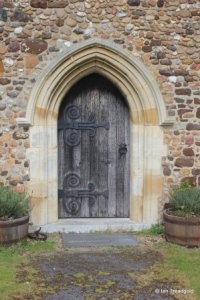 The south doorway is under a two-centred arch with impressive external metalwork hinges. 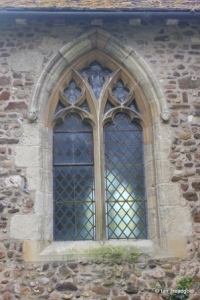 The window to the west of the door is also of two lights but cinquefoiled with a six-lobed multifoil design in the head under a pointed arch. 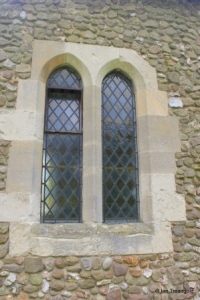 To the west of this window are signs of the relieving arch of an earlier small pointed single light window. The embattled tower is of two stages with angle buttresses. There are belfry openings to the south and west of two-light cinquefoiled openings under square heads. The west window matches that at the west end of the south side of the nave although it is taller. The north side of the church has three plain two-light windows without arches, basically simply recessed windows. 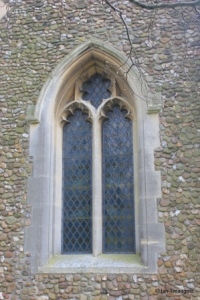 The chancel has a single window to the north of two trefoiled lights with geometric tracery above under a pointed arch. 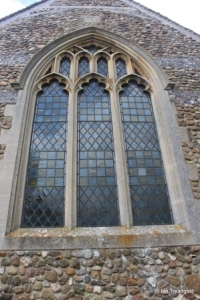 The east window is modern with three cinquefoiled lights with perpendicular tracery above. 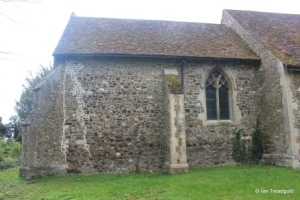 The east end of the church itself was found to be damaged in 1943. The damage was caused or exacerbated by bombs dropped in a nearby field and was repaired after the war. 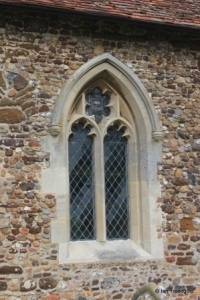 The south side of the chancel has a single window that matches the eastern pair of windows from the south side of the nave being of two uncusped lights under a pointed arch with Y-tracery. Page last changed 25/04/2015. Reformatted 26/02/2016.